Don't let a busted television ruin your day. Call Tekno TV for immediate TV repair and warranty work. As an authorized service provider for almost all of today's top brands, we efficiently handle almost any repair you need regardless of warranty. In addition to private clients, we do work for Costco™ and Home Depot™ and serve a number of major hotels throughout the area, including Marriott™ and Hampton Inn™. 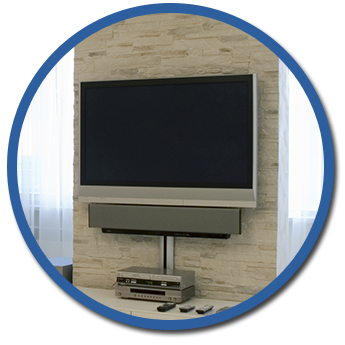 Tekno TV is an authorized plasma, LCD, and DLP television service provider for such major brands as Samsung, Elite™, and LG™, as well as a Master Station for Sharp™. All we need to get started is your model number, serial number, purchase date, and proof of purchase. No preauthorization is required—we handle that for you! We also offer extended warranty work on most major TVs. Authorization will be sent to the provider for your convenience. Contact us today for information on TV repair cost. We service multiple locations including Lake Worth, FL, Boynton Beach, FL , Boca Raton, FL, Palm Beach Gardens, FL and West Palm Beach, FL. Is your TV set too heavy to lift? No problem! We can bring our repair shop to your home or office. We work around your schedule. In the event that a repair cannot be completed on site, we will bring your set back to our service center to get it done right. All repairs are covered by our own warranties. All carry-ins are welcome, and no prior appointment is required. Please note that a non-refundable deposit is required at time of drop-off. This will be deducted from your total bill. Contact (561) 533-9840 for Panasonic Plasma TV repair, Samsung LCD repair and all other television brands. We can fix your broken TV screen at an affordable price in West Palm Beach, FL.